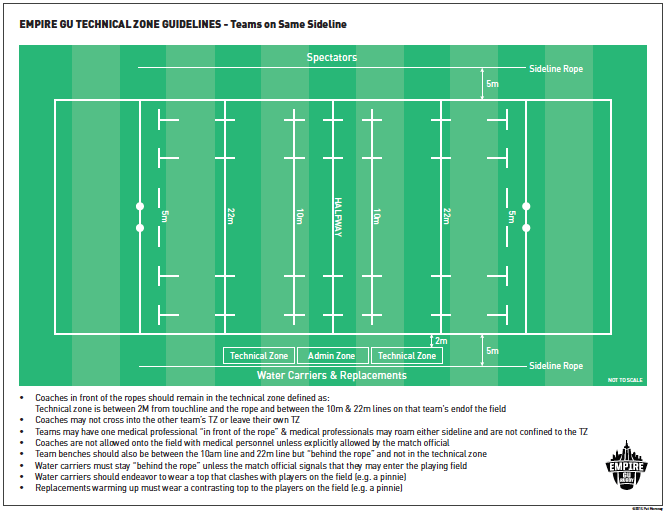 EGU requires the implementation of Technical Zones for all EGU matches. The safety and integrity of the game requires this change, giving us a more professional atmosphere and allowing our games to be played as intended. 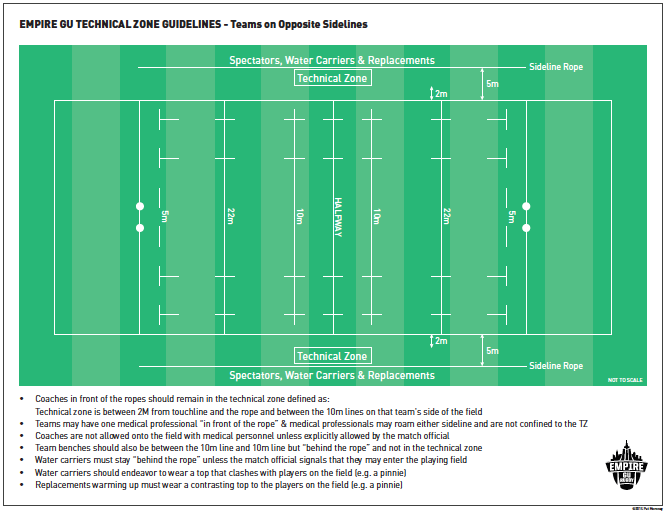 The schematic at the link below clarifies where coaches and medical can be in front of the ropes, similar to USA Rugby guidelines, while allowing for common situations with teams on opposite sidelines. Below is a link to a complete overview, including diagrams for two field set-ups: 1. Teams on Opposite Sidelines and 2. Teams on the Same Sidelines. EGU requires all clubs to implement this for home games and ultimately ensure a safe environment for athletes, coaches, referees, medical personnel and spectators.